Transform-A-Space gets fast, accurate quotes with goCabinets. Attention to detail and quality workmanship are two trademarks of Transform-A-Space. This small but very busy joinery puts customer service first – and a big part of this is the ability to deliver accurate quotes to customers. To enable this, Transform-A-Space is using goCabinets. 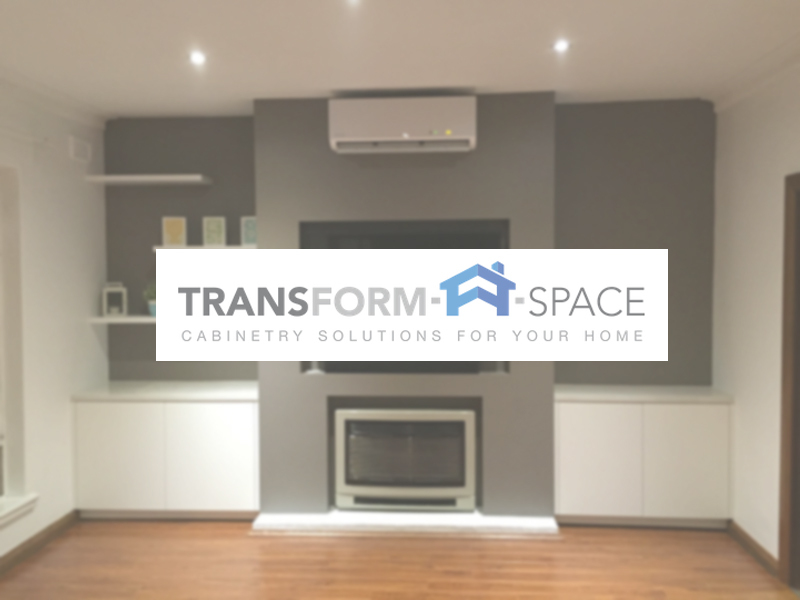 Transform-A-Space designs and builds everything from kitchens and laundries to simple benchtop replacements for clients throughout Adelaide. Established in early 2015, the business has already gained a reputation for the quality of its finishes. It gets a high volume of word-of-mouth referrals. “Every decision we make as a business is around building on this reputation for quality. So, when I was made aware of the online cabinetry quoting and ordering tool, goCabinets, I could quickly see its potential for building on the quality of work we do,” explained Burfield. Transform-A-Space uses goCabinets – a free ordering system that allows trade professionals to quote and order cabinets in real time – to get fast, accurate quotes from its CNC manufacturer. “All we need to do is plug in the cabinet dimensions, layout and finishes, and we get a very accurate price for the job. This is so important to get right at the early stage, both to get client buy-in and make sure there are no blow-outs,” said Burfield. If a client wants to change something – for example, flip between a matte and melamine finish on the cabinetry – it is very easy to get a new quote. Once a client has signed off on a project, Burfield checks through the order details and simply presses ‘Submit’. This tells the manufacturer that it’s ready to go, providing them with all the information they need to cut the job. As well as using goCabinets, Transform-A-Space has also invested in kitchen design software KD Max. “Upgrading a kitchen is a big investment. Clients want to see what they’re getting before they invest their savings into the project,” said Burfield. “We needed something to help people visualise their cabinetry. Previously, we had been hand-drawing clients’ elevations – but 2D only goes so far. KD Max helps people picture exactly how their cabinetry is going to look and gives them the confidence that it’s the right layout and design. For Burfield, it’s hard to imagine what his business was like before goCabinets came along to make the quoting and ordering process so much easier.